Protect your RD-50 with this easy-to-install cover, with captive lens caps for quick, easy deployment! The RD-ARMOR is a cover for the AT3 RD-50 that protects your optic from dust, scratches, and moisture. The attached lens caps won’t get lost, and easily lock together with one hand when not in use. The RD-ARMOR is made from a durable thermoplastic elastomer that withstands oils, solvents, and harsh outdoor conditions. It can be easily installed and removed from your RD-50 in a matter of seconds. You may find that mounting the RD-ARMOR on an RD-50 without a riser mount may interfere with fully closing the lens caps, but don’t worry. The cover can be easily modified for applications without a riser, and we provide easy-to-follow instructions with each unit on how to do so. 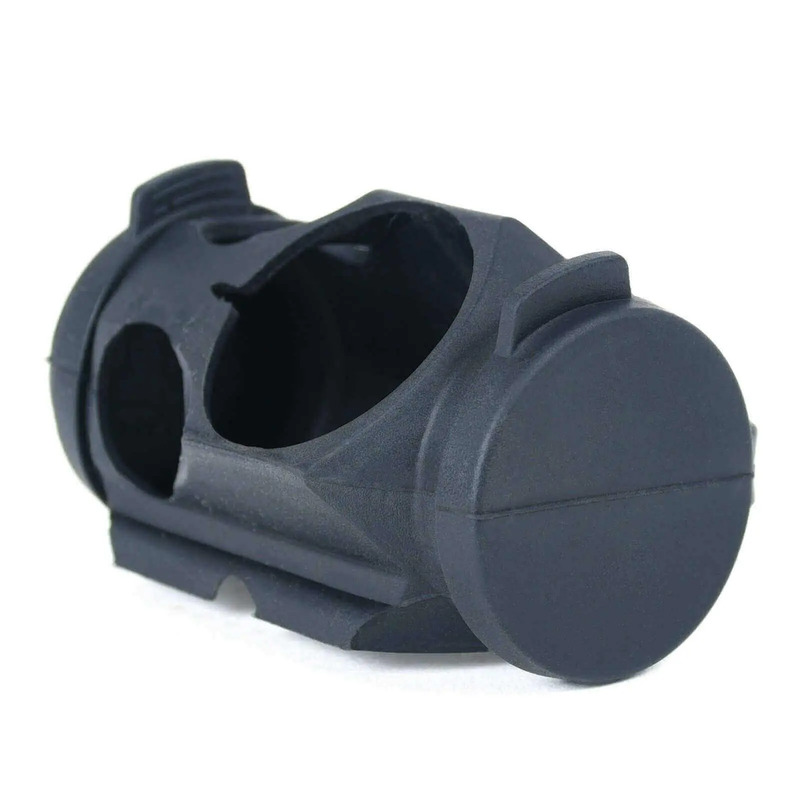 This optic cover is also compatible with other popular red dot optics. If you’re not sure if your optic will fit, just contact us and we’ll help you out! I would loose them eventually.... Makes it much harder for me now! I have a RD-50 red dot sight that I had bought a year ago and love. I saw on the website that AT3 was offering a rubber cover for it. I contacted AT3 customer service and needless to say they were outstanding. I received the cover three days after I ordered it. It mounted on the sight perfectly. I've been very happy with my RD-50 sight except for the bikini-type lens covers. They always seemed to pop off in the case; I could never get them to stay on properly. The new cover with the captive lens caps solves this problem for me, and has the additional benefits of being easy to install and inexpensive. Recommended! The holster fits snugly and the attached end caps takes the thought of losing them out of the picture. Customer Service is Excellent. Bought AT3-RD Armor protective cover.